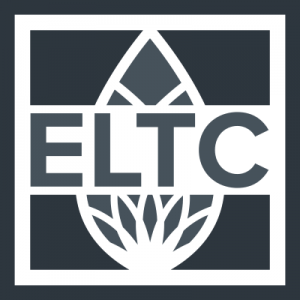 Busy and growing Estate and Elder Law Firm is looking for an attorney who is eager to work in a fun, fast paced and happy workplace. We are looking for candidates who are essentially drama free; will work well with a close-knit office; have good senses of humor, a lot of patience and compassion; and the ability to manage all of the emotions that come with helping people and families in their time of need. 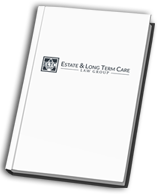 Prior experience in elder law, and/or estate planning is mandatory. Candidates must be self-motivated and compelled to provide the best service to the client’s we serve. We are currently working on a location expansion so it is vital that candidates are willing and able to play a contributing role in the growth of the firm as well as growth in the Elder Law and Medicaid practice areas. We have offices in Washington and Idaho. Review and analysis of client documents, including client’s asset lists, bank statements, investments, taxes, and other related financial documents. Drafting estate planning documents, long term care plans, financial applications, medical and Medicaid applications. Awesome, down-to-earth personality – nobody here will really care that your business card says “attorney”. We all have the opportunity to pitch in here and there on jobs not necessarily listed in this description – like Dog Walking, which is actually a nice break as is making coffee – and there are days, where you may need to or actually prefer clean something. Responsible for the legal/technical estate planning document review, including wills, SNT’s, QTIP and bypass trusts, lifetime irrevocable trust, general and health-care powers of attorney, etc. Responsible for the estate administration process, including probates, ancillary probates, estate administrations and trust administrations, etc. Reviews and approves all court filings, Medicaid and VA benefit applications. Oversees coordination of re-titling assets with client financial service providers, real estate attorneys and title companies. Willing to grow and have your position “tweaked” as necessary – and yes, we’ll chat about it first. Must be Licensed in Idaho. Idaho and Washington would be beneficial. Salary: Please include a salary range in your cover letter. To Apply: Please submit a resume and cover letter via email to [email protected].